A: Solution 1: Your username and password are case sensitive, make sure “Caps Lock” is not turned on, and try again. Solution 2: You have mistakenly pressed the “space bar” at the end or the beginning of the username or the password. Delete both and try again. Solution 3: If you are connected to the Internet through an office network, this could be an office firewall issue. Please contact your system administrator. Q: I haven’t received my confirmation email. I may have given you the wrong email address, or perhaps something went wrong with my deal. Can you please re-confirm? A: Duplicate email confirmations cannot be issued. Email confirmations are generated only at the time of dealing. If you need to reconfirm your deal, please call our customers support center. You do not need the email confirmation to manage your deal, all you need is to check your account and position. The email is sent merely as a convenience for customers so that they have an additional record of their deal details. If you received a confirmation number on screen, your deal is confirmed. Failure to receive the confirmation email has no bearing on the status of your account. Where mail cannot be delivered – due to an address that does not exist, or a recipient’s mailbox is full, or a recipient’s mail server is not accepting mail or is unreachable – delivery attempts cease. Confirmation letters are not sent by post for online deals. Q: Is online dealing on the website secure? A: Yes. We use the internationally accepted security system SSL to encrypt all credit card payments over the web. This is automatic, and you will receive instant notification if your browser does not support this. Q: I receive a message saying my browser isn’t compatible with the site. Why? A: The website is tested using a range of browsers and operating systems. Some older browsers, however, do not support the full range of functions required. We recommend using Internet Explorer 7 or above. Upgrading to the latest browser can mean enhancing your surfing experience and improving your online security. Upgrade now! Q: What is Foreign Exchange Trading, what do I need to know? A: Discover Forex trading in our Learn section. This is where you will find a series of articles that explain trading and the foreign exchange market. 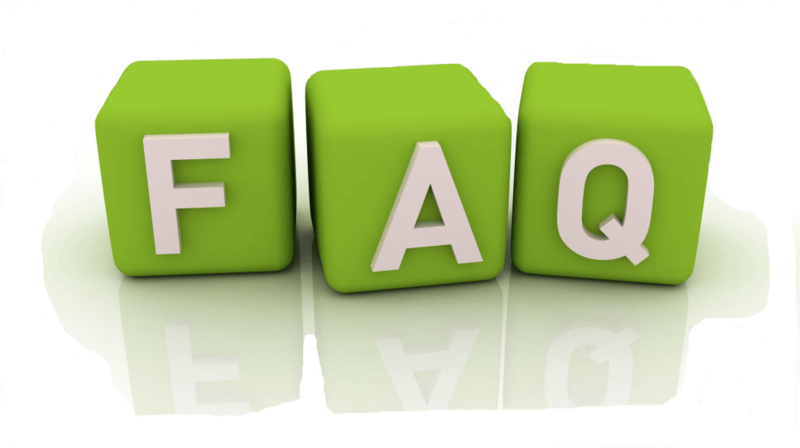 A: Yes, we advise all our clients that trading does involve substantial amount of risk. However with easyMarkets® you cannot lose more than your ‘margin’, the money you are prepared to risk plus the daily rolling fee if you have entered a Day Trade transaction. We do suggest that you only risk what you can afford. Before you join you need to read our PDS, Disclaimer and User Agreement. Q: Can you send me rates via email? A: No. The online deals section of our website connects directly to our central trading system, and shows the latest rates and premiums based on real time FX and derivative quotes. There is no commitment to deal at the time rates and premiums are displayed – only once you click on buy or sell are you committed to a deal. Q: Why has the price of the deals I am interested in changed since last time I checked? A: Deals are dependent on the FX or derivative market, which is dynamic and changes all the time. The fluctuations in the market, in currency or derivative rates, affect the easyMarkets fully automated pricing engine. This is why rates and premiums may change all the time. For your convenience, easyMarkets developed the currency/derivative bar which displays market data in real time and can give you indication to whether the rates are going up or down. When the rates in the bar are green it means they went up since the last update, when they are red it means they went down since the last update. Q: What kind of deals do you offer? A: We offer Day Trading, forward and vanilla option deals, majors, crosses and some exotics, commodities and indices. Q: When should I check “My Current Trades”? A: “My Current Trades” is a report that displays all your live deals. All open deals are displayed on “My Current Trades”, divided into Day Trading, Forwards, Pending Orders, Closed Orders and Options deals. You can also close any deal that is live by clicking the “Close” Button. Q: What should I do if I have a specific problem regarding a specific deal? A: Please contact one of our representatives immediately on 1800 176 935. This line is open 24 hours a day from Monday at 7am AEST to Saturday 4am AEST. Otherwise please send an email to our customer service at cs@easymarkets.com with details of the problem. We endeavor to respond to such emails within 2 days. A: To close your account, please email or call your Account Manager on 1300 303 908. Q: How can I pass on my comments to easyMarkets? A: While we are unable to respond to individual messages, we value all feedback from our site users, and we read all comments we receive. Send an email to cs@easymarkets.com and have your say. Q: I have a great idea about what easyMarkets should offer. To whom should I send it? A: We appreciate suggestions regarding potential new deals or offers. Please send an email to cs@easymarkets.com and pass on your suggestion. Q: Can I include a link to easyMarkets on my web site? A: If you would like to put a hyperlink through to the easyMarkets website on your own site, please send an email to cs@easymarkets.com. Q: What is day trading? A: Day Trading allows you to perform daily trade deals with low margins (the difference between buying and selling rates). The deals renew automatically every night at 22:00 (GMT time), starting the day the deal was made until it ends. As long as the deal is open, you will be charged a renewal fee every night at 22:00 (GMT time) for all deals opened at this time. Deals closed before 22:00 (GMT time) will not be charged. Q: What’s the difference between Day Trading deals and Forward deals? The day trading rate has reached the Stop-Loss rate you predefined. It is the deal’s ending date. easyMarkets closes the deal because of a breach by you under our terms and conditions. A: The fact that our website is available 24 hours a day, 7 days a week, doesn’t mean that YOU must stay awake and be alert, waiting to capture a preferred opportunity or rate. A limit order is where you nominate a rate at which you want to open a deal. When and if this rate is reached in the market, your ‘reserved’ deal is automatically opened. Once the deal is opened it is treated like a Day Trade with the details appearing in My Current Trades under the My easyMarkets tab. It will remain valid for one month. The Limit service is offered to you by easyMarkets FREE OF CHARGE !! Q: When a Limit expires, do I see it on the platform? A: Yes, as a single entry under My Closed Trades under the My easyMarkets tab. This journal entry will also be reflected in your free balance. Q: How do I deposit money with easyMarkets? A: Go to the the My easyMarkets tab at www.easyMarkets.com.au. In the “My Funds” section on the website you can deposit money with your credit card, Bpay or by Wire Transfer. We accept up to 12 currencies. Q: What identification Documents do I have to supply and why? A: We require proof of identity (such as passport or ID card) and proof of address (such as utility bill or bank statement) as part of the regulatory KYC requirements. Please note that the proof of address cannot be older than 6 months and must show your full name and residential address. Other documents, such as credit card statement may be required if you have used credit cards to deposit into your trading account. Q: How do I withdraw money? A: To withdraw money you must have supplied the required documentation. Withdrawals will only be returned to the source of the deposit i.e. if deposit is made by credit card than withdrawals will return to the credit card. We may transfer to a bank account only at the company’s discretion and with regard to Anti-Money Laundering (AML) regulations.